moved into Buckingham Street in 1949. He migrated to Australia from England in 1912. His early career was as an engineer’s pattern maker which lead to him becoming an organiser of the Shop Assistants' Union and of the Socialist Party. 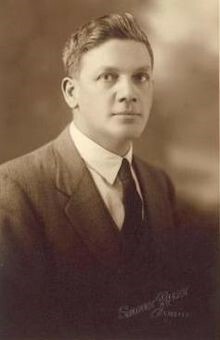 He was a member of the Brisbane Trades Hall Council, and was on the Central Executive of the Queensland branch of the Australian Labor Party. In 1931, he was elected to the Australian Senate as a Labor Senator for Queensland. 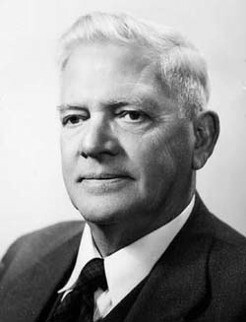 From 1947 to 1950, he and Joe Collings were the joint Fathers of the Senate, and from 1950 until his retirement in 1964, Brown was the sole Father of the Senate. This is an informal title that carries no parliamentary responsibilities. It is held by the senator who has served longer, continuously, than any other currently serving senator. Where two or more senators have equal lengths of continuous service, more than any other currently serving senators, they are known as the joint Fathers of the Senate. His neighbour Lettie Morell who still lives in Buckingham Street remembers ‘Father’ well. Lettie’s familiar name for the Senator was because she was close friends with his daughter, Pos, who called him ‘Father’ and Lettie followed suit. Lettie fondly recalls having lively political discussions with Brown. Her own husband Ron was a trade union official and he and the Senator had much in common. Lettie tells how the Senator had a Commonwealth driver, named Ben Taylor, until Brown was no longer President of the Senate then the family maid named Winsome chaffeured the Senator. Ben Taylor’s brothers built an extension under the Brown house that contained a flat where Pos and her husband Ron Beck resided until they built their own home on the corner of Buckingham and Laird Street. This was proven years later when one of Senator Brown’s grandsons, Andrew, asked Lettie, who was a marriage celebrant, to fly to Perth to officiate at his wedding. The Brown’s moved from St John’s Wood to the Gold Coast but by the time of his death in 1967 Senator Brown was living in Brisbane. He was given a state funeral at St Philip’s Anglican Church at Annerley. Lettie attended the service and said that ‘Father’ would have been amused, as one of their favourite arguments had always been over Brown stating that he was an atheist and Lettie refuting his vehemency as she believed he was really an agnostic. Lettie believes that ‘Nana’, Mrs Brown, would have loved the state funeral as she enjoyed pomp and ceremony.